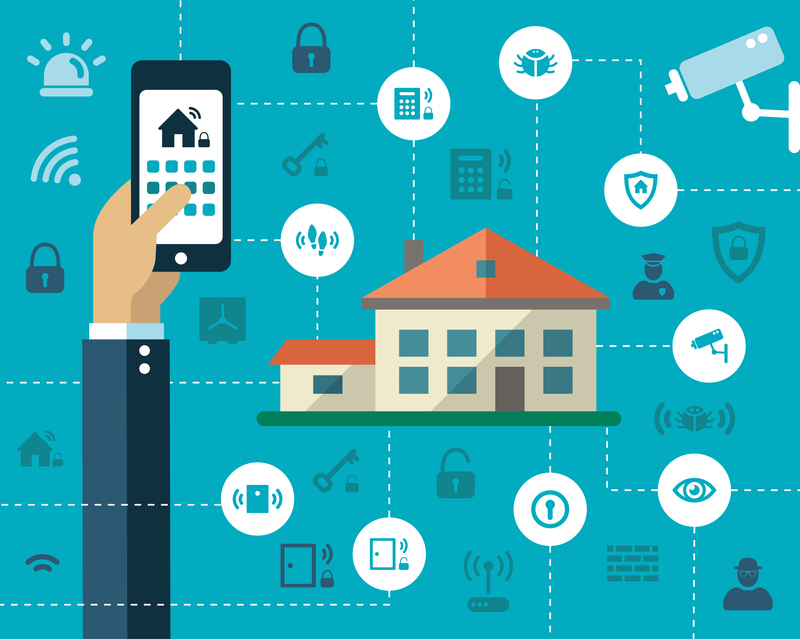 IoT (internet of things) is a buzzword you might have heard thrown about from time to time. It refers to devices connecting to the internet, but not the devices you’d usually think of when you think of internet connected devices. We’re talking about smart connected refrigerators and thermostats and locks and your coffee maker, etc. 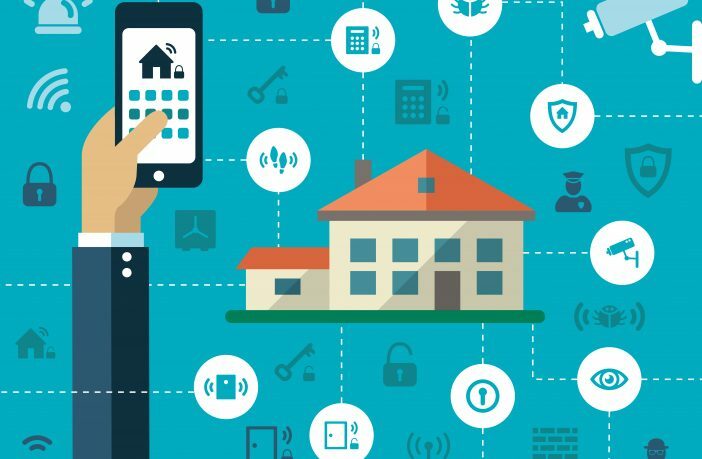 One thing you might have noticed is that all of these things are related to your home, which is exactly where the next big tech revolution is happening, in your home. Electronics manufacturers are looking at ways of making your home smarter. This includes all the appliances and electronics in your home. One of the struggles they’re facing is how you control all these connected devices. After all, what’s the point in having a smart home when you still have to get up to switch off the lights? Sure, you could download an app and control things that way, but not every connected device is going to use the same app. And, let’s be honest, storage space on smartphones is usually something we guard very jealously. Well, Amazon.com, Google and Apple have their own solutions to these problems. Amazon.com stunned everyone when they released their first Echo speaker. Touted as a smart speaker, it soon became obvious that this was the company’s AI (artificial intelligence) assistant, which just happened to be in the form of a speaker. Alexa (which is what Amazon named their AI assistant) demonstrated how powerful she was from the onset and was able to answer questions and help you add things to your Amazon shopping cart. As she’s progressed, she’s gained quite a few new skills including the ability to talk you through more than 60 000 recipes. Not only can she do that, and tell you the weather, order you an Uber or a pizza, she can also control quite a few smart-connected devices. Alexa can also control your Netatmo thermostat, your coffee machine (not all models), your smart locks, your lighting, and even connect with Samsung’s Family Hub Fridge. Now all you have to do is say the magic phrase and Alexa will do the rest for you. Google has also joined the home automation fray with the launch of it’s smart speaker, Google Home. It too is powered by an AI Assistant which Google has not named and instead calls “Google Assistant”. Like Amazon’s Echo, Google home can play music from your streaming services and answer certain questions. One of the cool features of Google Home is that, if you have a Chromecast device, you can use your voice to cast content to your Chromecast (once it’s connected to your Google Home device, of course). Google Home also works with the Nest thermostat, Samsung’s Smart Things home automation system, Phillips Hue light, and IFTTT. IFTTT is the web service that sets up protocols so that, if this happens, then that is the response / next step. For example, if you’re away from home and you have a smart sensor on your door to your wine collection, then, if someone opens the door and triggers the sensor, you can set up a command for a text message to immediately be sent to your phone. If you’re already locked into the Android ecosystem, then Google Home might be the best smart speaker / AI assistant to go with. Apple has taken a slightly different approach to home automation. Yes, they do have Siri at the centre of it, but instead of releasing their own intelligent speaker, they’ve set up HomeKit. HomeKit is a platform created by Apple to manage and maintain smart home automation. Developers and product manufacturers can join the platform and make their devices HomeKit compatible. Originally announced at the Apple’s WWDC 2014, HomeKit has now grown to support many smart automated devices, with nearly 100 joining the product line up this year alone. The company has also launched an app called Home in iOS 10, which let’s you control and manage all your HomeKit enabled devices from one place. These are just some of the products which are HomeKit compatible. But, it clearly shows that Apple is serious about controlling as many of your smart devices as possible. And, since we’re already used to saying “Hey Siri”, why not use it to say which devices you want her to control in your home.